It is my perception that the term Traditional Witchcraft over the years has become a term used in greater and greater frequency, as the craft has become more inclusive. This might be due to families guarding the craft having been more open with some of their mysteries and have shared in greater degree than before, but there are also two other elements that has contributed to this increase in practitioners of Traditional Craft and Craft circles in themselves. One of them being the greater field of folk magic that utilizes spells and charms that throughout in history was condemned, judged and labelled as ‘witchcraft’, hence practitioners of folk magic might end up seeing their craft as both traditional and as witchcraft. The other factor is born from the spirit of democracy that says we can all be what we want to be because we all are equal. Naturally democracy is a more complex idea, but this push towards taking what one want because we are equally deserving might have played a role in the modern tendency of “creating one’s own tradition” rooting this in the use of traditional elements of the simple succession of legacy through some form of initiation or induction into the newly formed tradition. I am not the warden of the Craft and so I will not pass any judgment on this as such besides pointing out these tendencies that can both muddy the water as much as offer up clarity. It is in this field of investigation that I find Gemma’s books so great and what she is doing in Silent as the Trees is exemplary. 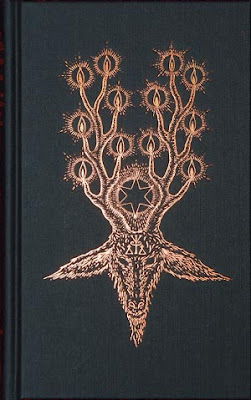 In this book she is presenting the witchy ancestry of Devonshire through the practitioners that lived there and their art and is even presenting a grammary or Black Book of the art rooted I Devonshire craft. In doing this she is demonstrating how land and need moves the art in a given direction yet in this we also see how the common facets of the Craft is still present and recognizable in the lives of the practitioners and in the legacy they left. She is illustrating this legacy by enlighten us about the craft of Cecil Williamson who she terms a modern cunning man with an interest in the ways of the wayside witches. The wayside witches where the solitary wise ones that usually stayed in the outskirts of the village, either physically or ideologically. 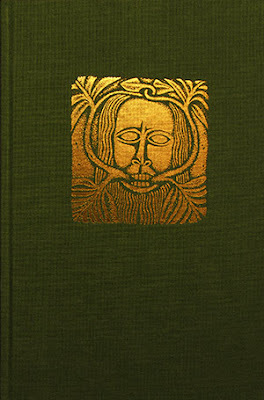 Through using Williamson, the founder of the Museum of Witchcraft as an example of the cunning craft she is also using the opportunity of introducing Gerald Gardner, the founder of Wicca, an once friend of Cecil to illustrate the differences between the two men and in that she is also bringing clarity in what separates the fertility religion known as Wicca from the Craft in a traditional sense and makes it evident through her book how Traditional Craft can be recognized and in this she is in particular highlighting the importance of the witches’ familiar and the ability of skin-leaping as she is demonstrating how the craft is at heart amoral and beyond good and evil as is rooted in need and deed.